How are you? I am exhausted. I need a weekend for my weekend. We celebrated a friend's birthday last night and this old lady was out well past her bedtime. The tiredness has carried over and now I am ready to hit the hay at 6:30 on a Sunday night. 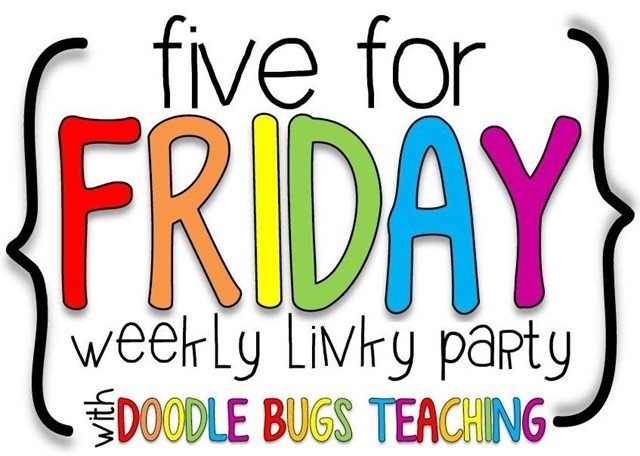 I know I am two days late, but I wanted to link up with Kacey from Doodle Bugs anyways. 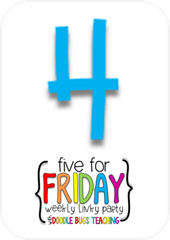 I really love 5 for Friday, but sometimes struggle to come up with 5 good things! I think I am ready this week though! My sweet firsties and I went on a great trip to Govenor Bebb Metropark and visited a Settler's Village. It was so fun! My kiddos got to learn about how the Settlers in the Ohio River Valley lived, and how they just got by. You should have seen their little shocked faces when they heard there were no TVs, computers, or cell phones. Oh the horror!!! Man did we luck out on the weather! It was November 6, and was supposed to RAIN all day. Not a drop of rain fell on our little heads and it was relatively warm too! We learned all about summer kitchens and how they didn't heat up the houses in the summer! We learned that old schools had lots of rules!! And where the phrase, "Don't let the bed bugs bite!" comes from. We made candles the old fashioned way! and passed out as soon as we hit the bus! It was a fantastic field trip if you live in Southwest Ohio! 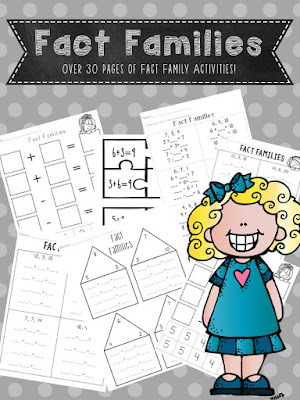 These great fact family activities that I just made! These pictures are all of the same activity, but you can see how interactive they are! 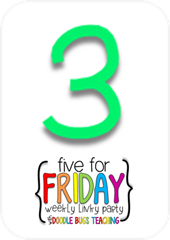 The kids LOVED them and asked when they could do this activity again! It was so easy to differentiate too! I helped this kiddo label all of the squares, and then all of his numbers with Ps and Ws (part, part, whole) so he could match the letters. He was able to see that two parts make a whole and a whole minus a part equals a part! 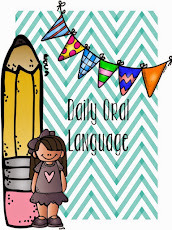 Daily Oral Language. Holy important. I am SO tired of seeing lower case letters at the beginning of a sentence, and hello, capital letters all over the place. And one really really long sentence that just never ends even though it has like six different things in it and at the end of the sentence I am out of breath. A couple of weeks ago, I knew it was time. I knew it had to begin. I knew we needed to start DOL. I just didn't want to. But, we started, and the kids love it. Here we got to practice proper nouns too! My kids find these very motivating because, hello, RED PEN!!! I do not let them use their red pens very often, only for editing, so any chance they get to use them is really exciting. Once we fix our sentence up I let them take a four minute "color break" and express themselves. In this picture you can see Ace my dog and I outside, while poor Mr. Duris is stuck inside with his shopping bag and his new shirt. Hello adorable! Mr. Duris' new shirt has shoulder pads. The kiddos sure do know the way to my (and Mr. Duris') heart! 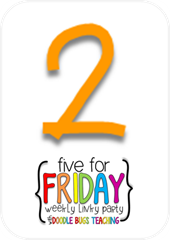 You can find this Back to School DOL in my TpT store, or click on the first picture! We held a really cool Veteran's Day celebration at our school this year. It was amazing. And while I didn't get to do anything with my kiddos because of time constraints, we did get to attend the celebration and partake in it. All of the kiddos got flags, and several grade levels sang "American" songs. The coolest part? These Veterans coming and celebrating the day with us. They shared their military traditions and sang with us. They entered our cafetorium to a "USA!" chant, and you could see them becoming overwhelmed with emotions. It was a really touching and amazing experience for my kiddos and I. It is SOOOO me! She was able to make magic with Paula Kim Studios and create clip art (I LOVE PKS!!!) and then work from there. I cannot wait to see the final product!!! That's it for me guys! 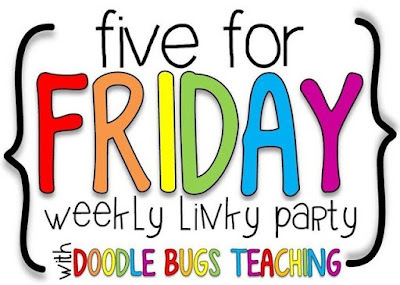 Be sure to link up with Doodle Bugs for her weekly Five for Friday link up and check out some of the other blog posts as well! 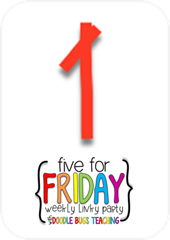 See you guys Tuesday for Feature Teacher Tuesday!! !